Product of the Week: Lay-n-Go Lego Play Mat, Clean Up Helper and Storage All in One!! I am so excited to tell you about this week’s product! 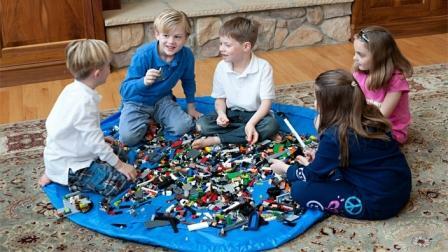 The Lay-n-Go is an activity mat that provides easy clean up and storage all in one product. It’s awesome and I can’t say enough good things about it or recommend it more highly. It’s easy to use and keeps all sorts of small toys contained however we find it especially helpful with all those small bits of Lego (you know the ones that breed in the night!). The beauty of it is this, with the pull of a drawstring clean up is done! It is as easy as that, no kidding!! I’m happy to feature two different sizes for sale today…a Large and a Lite. While quantities last, the Large is on sale for 31% off and the Lite is available at 20% off. 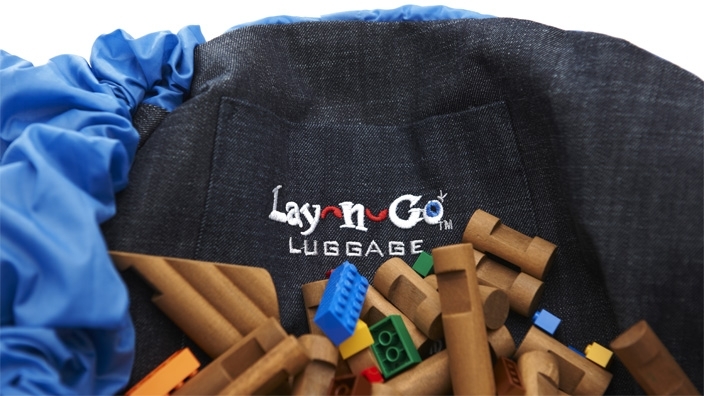 Check out this terrific video by the founders of Lay-n-Go to see it in action. For more information and to purchase today’s product at these sale prices visit my Opensky site. Not a member yet? It’s easy to sign up and by doing so you’ll also be notified by email anytime a new organizing product goes live. Don’t miss out! 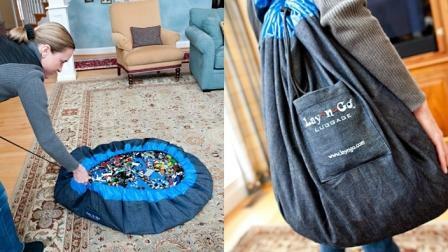 12 Responses to Product of the Week: Lay-n-Go Lego Play Mat, Clean Up Helper and Storage All in One!! Wow! This has been around forever. My parents had one of these for our legos and it was a hand-me-down from my much older cousins. Always wondered what happened to it and now i think it would be great for my kids. this is awesome. I had no idea that these existed!! I think we need a couple of those! I know a little boy who just might find that under the tree this Christmas!! this is so perfect for play dates! Oh my goodness! I need these in my life!!! honestly when I saw it on your blog, I thought of it as a rip-off because I thought it can be self-made so easily! – but now after watching the video, it’s a real great idea and it looks as if the guys have put very much thought into it. the materials seem to be well chosen so that not a piece of Lego/Playmobil/Barbie-shoe will fall out, also the clear pouches for favorite toys sound like a great idea. Where was this when my kids were younger? Now I need one for the grandchildren that are soon going to both be playing with the Legos. It’s a generational thing. Just wondering if avail in Australia yet and how much they are and cost of shipping. Hi Angela, Opensky only ships to US addresses at this time. Sorry about that!! I have been researching this as well as it takes hours to clear up the lego after my kids – think the idea is great but the drawstring seems really dangerous for little ones. I have found this invention from the UK – smatta mats which do not have any string or rope, but are play store and carry solutions – check out http://www.smatta.co.uk to see how they work!